“More than 500 people predominantly women and girls were sold to Saudi Arabia, Oman and Kuwait in 2017,” reveals the report conducted by a local NGO fighting against human trafficking (ONLCT ou est ton frère). Prime Mbarubukeye, Chairman of ONLCT ou est ton frère says he has found a new phenomenon of men victims of human trafficking. “We were accustomed to women and girls being trafficked, but we found that men are now being sold for forced labor in Tanzania’s tobacco plantation as well as in golf countries,” he says. 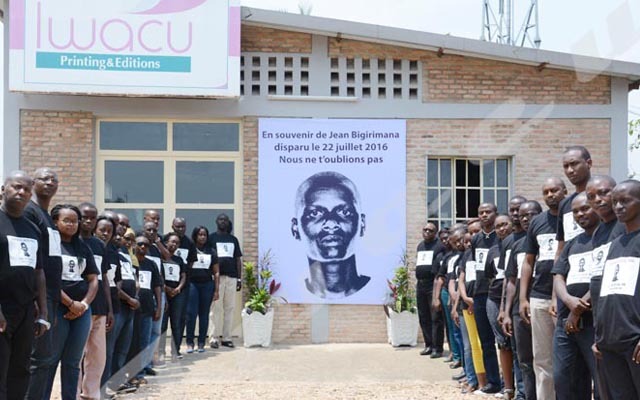 According to this report the reasons for this phenomenon of human trafficking is the consequence of the socio-economic crisis that Burundi has experienced since independence of Burundi. “Violence committed in Burundi incited people to commit other crimes without worry,” says Mbarubukeye. He also says it is the consequence of degradation of Burundian culture. …. Mbarubukeye states that traffickers have established networks in neighboring countries namely Rwanda, Tanzania, Uganda, Kenya, Zambia, DRC Goma, Malawi and South Africa to send victims to these Gulf countries. Mbarubukeye calls on the government to enact the Trafficking in Persons Act and the Law on Gender-Based Violence. He also calls on the government to set up a monitoring and consultation committee on trafficking in human beings. Cases of human trafficking have been reported in Burundi for a long time. In January 2018, the Burundi police intercepted 13 women going to Oman illegally.